Leisure and Culture Dundee has been forced to make savings of more than £800,000 through cutting staff and reducing its library budget. The council arms-length organisation revealed last month it was considering a range of “savings and investment” options in order to balance its books. Board members agreed at a meeting yesterday to introduce voluntary redundancies and early retirement schemes, as well as a 10% reduction in the resource budget for books and periodicals in libraries. Staffing levels will gradually reduce at the organisation as vacancies will be “closely examined” and may not be automatically filled once an employee leaves. The organisation is responsible for facilities such as Camperdown and Caird Park golf courses, the McManus museum, Caird Hall, and the Olympia swimming pool. It also operates resources such as public libraries. The measures are a knock-on effect of the £10.3 million in savings agreed by Dundee City Council at its annual budget meeting in February. 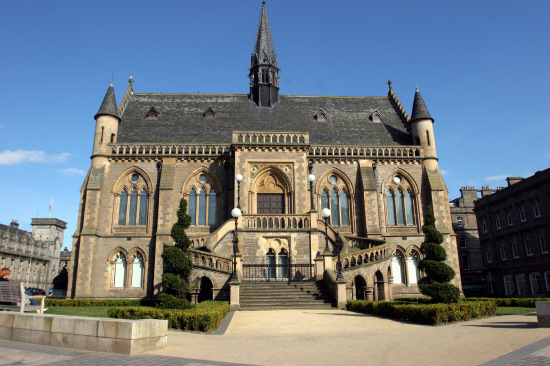 A spokesperson for Leisure and Culture Dundee said: “We are grateful to Dundee City Council for an increase in our management fee, although we still needed to find a combined savings and income generation target of around £860,000 to provide a balanced budget. “Dundee City Council, in its capital plan, has also committed £5.4 million investment fund in facilities for Leisure & Culture Dundee over the next five years which will improve the quality and range of service. The spokesperson stressed the organisation had worked hard to avoid any cuts to services and that no compulsory redundancies will be needed to meet the savings. Access to the voluntary redundancy and voluntary early retirement scheme will follow similar guidelines to those of Dundee City Council. The meeting also saw a revised pricing structure for 2019/20 agreed, meaning costs of some services will likely increase. All service areas will pursue a ‘digital first policy’ meaning a progressive reduction on the reliance of print material. Paid-for services such as a new audio guide at the McManus musuem will also help generate additional cash for the organisation. The exact details of these are expected to be revealed on Thursday.